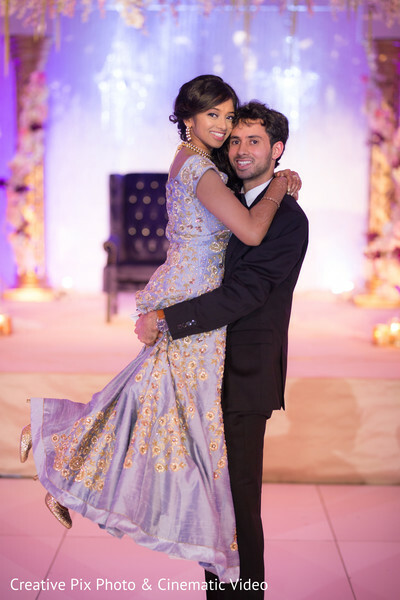 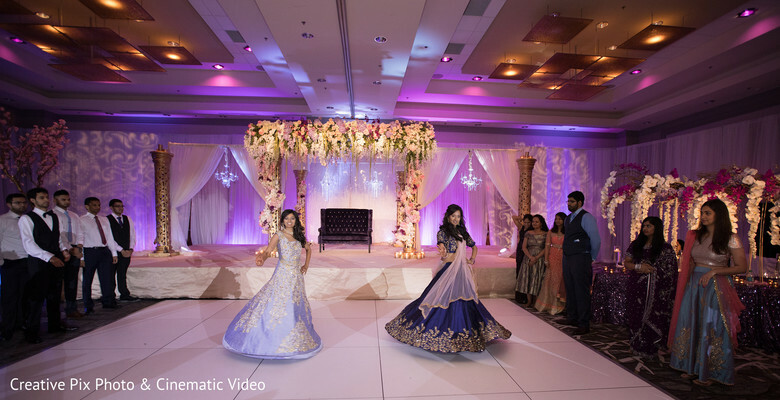 The refined Indian wedding of Sneha and Chirag continued at the wonderful halls of the Raleigh Marriott City Center. 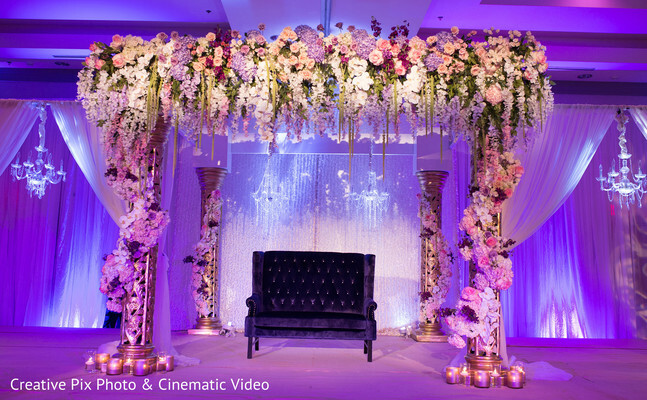 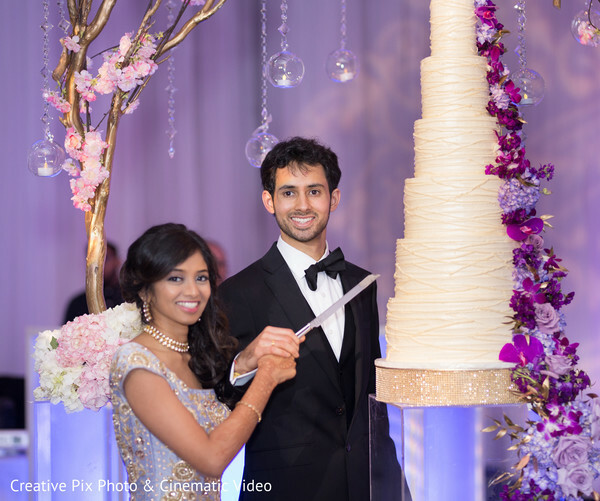 With a bespoke romantic décor from Creative Touch Events, the place radiated elegance and romance with cherry blossoms, orchids and a majestic five-tier buttercream cake from Mad Hatter Bakery which was also festooned with florals in the same violet shades. 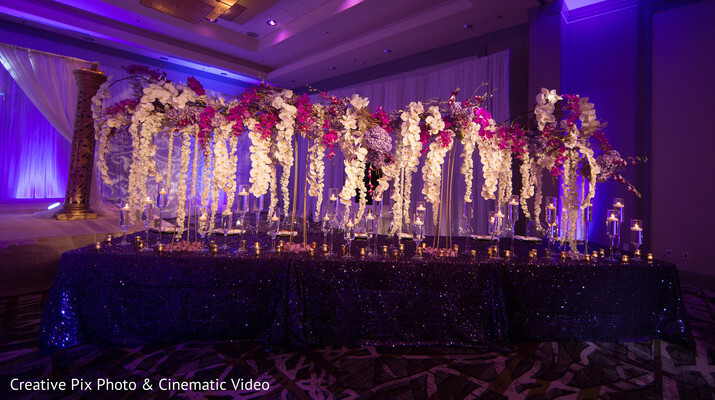 Sukhadia Caterers provided an excellent catering service creating an outstanding delicious wedding dinner, making this one of the most memorable moments of the night. 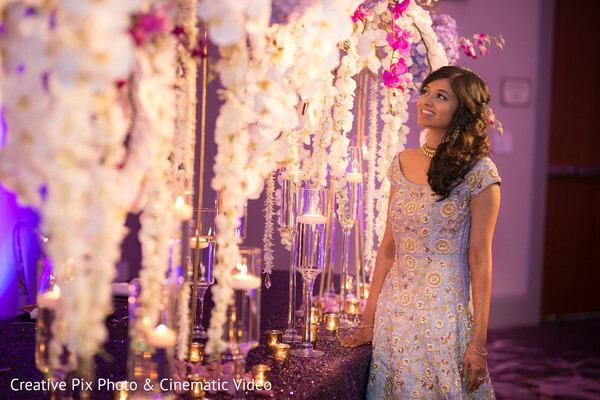 Maharani Sneha made her grand entry to the hall in a swoon-worthy soft lavender gown with a splendid gold embroidery design she twirled as she danced with the music of DJ Kenz. 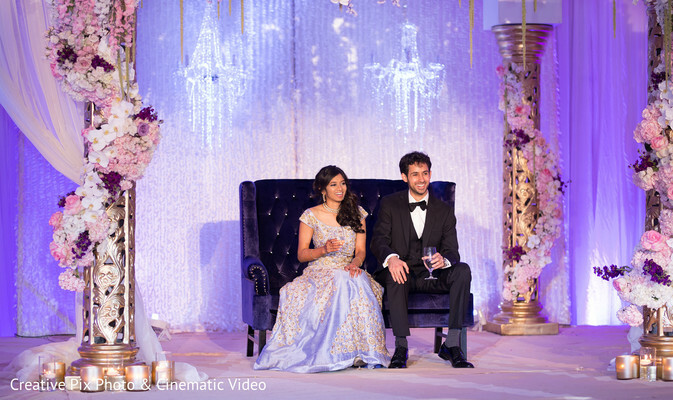 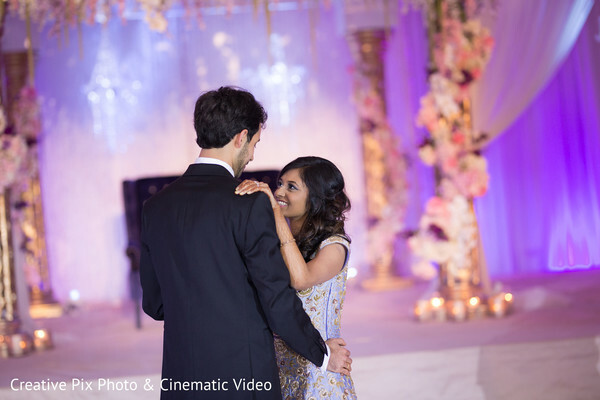 The big milestone of Sneha and Chirag was planned by North Carolina’s lead planning team of Timeless Love Weddings and photographed by Creative Pix Photo & Cinematic Video who captured all the utterly romantic images we featured today in our full gallery! 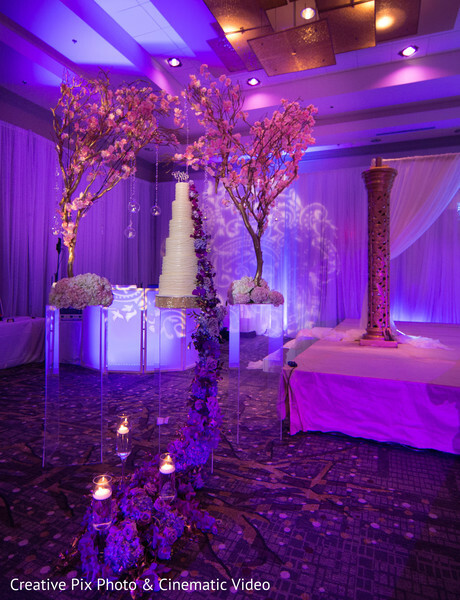 See you tomorrow for another day full of inspiration for your big day!